Over the last few days, the world has rightly condemned the terrorist attack by a white supremacist in Christchurch, New Zealand that left 50 people dead. This was someone who savagely attacked innocent people at prayer in a mosque. Can you imagine? Praying peacefully when someone bursts in and tries to kill you. 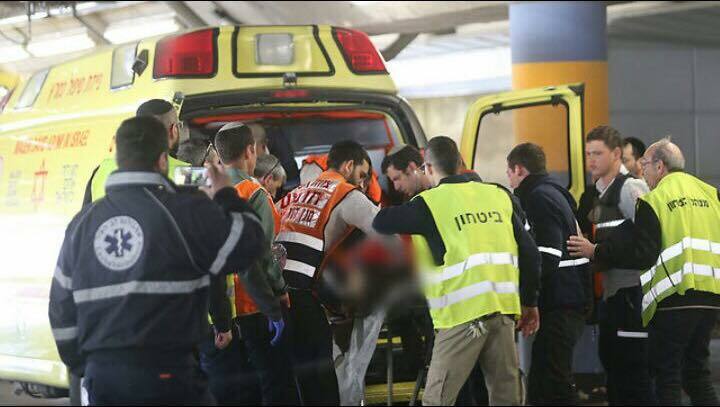 Today, another terrorist attack took place in Israel by an Arab terrorist, leaving 2 people dead. He reportedly stabbed a soldier, stole his weapon and fired into passing cars filled with innocent people as they were going about their business. Can you imagine? Just driving along a road when someone opens fire on you and tries to kill you. One terrorist was a white supremacist and one was a Muslim terrorist. Yet the world will unite and condemn the attacks on innocent Muslims but will remain silent on the attacks against innocent Jews. There will be no messages from around the world of solidarity with the State of Israel as it buries another innocent citizen. There will be no vigils and no vows to stand together and fight this evil. One cannot pretend to fight terrorism if you limit it to white supremacists while ignoring the threat and hatred and incitement that comes out of the Islamic world too. There are white supremacists who want to kill Jews and Muslims. But there are also Muslim terrorists who want to kill Jews and Christians and destroy the Western world. There are so many massacres of Christians in Muslim lands today. Their leaders and imams preach daily on their pulpits that Jews are pigs and dogs and even instruct people how to stab them. While the world is mourning Christchurch, palestinians are handing out sweets in celebration of another murder. How can a civilised society allow that kind of hatred to go unanswered? Attacks on all innocent people is terrorism – no matter where it takes place and by who and until the world realises that, then these messages of unity and solidarity are meaningless. This doesn’t honour the victims of the Christchurch massacre. It insults them and every other innocent person, including those in Israel, killed by this evil force. Justin Amler is a South African born, Melbourne based columnist who has lived in South Africa, New Zealand and Australia and is currently working in the Information Technology industry. He is a regular contributor to international publications.